A bird in the hand. I'm a total follower of this motto, even to the point where it might come off as superstitious. I'd rather take advantage of an opportunity that's certain than try to hold off for something that might be worth more, but might also be riskier. 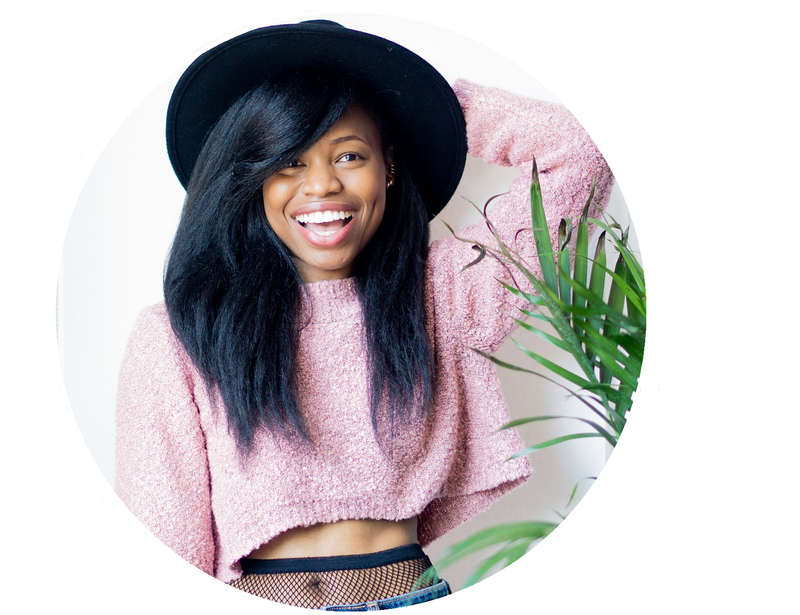 But since I recently decided to quit my full-time marketing job to focus more on the Muse and styling opportunities, I've come to the realization that sometimes it's OK to wait out for the two birds in the bush. Have you ever had a similar experience in your life? 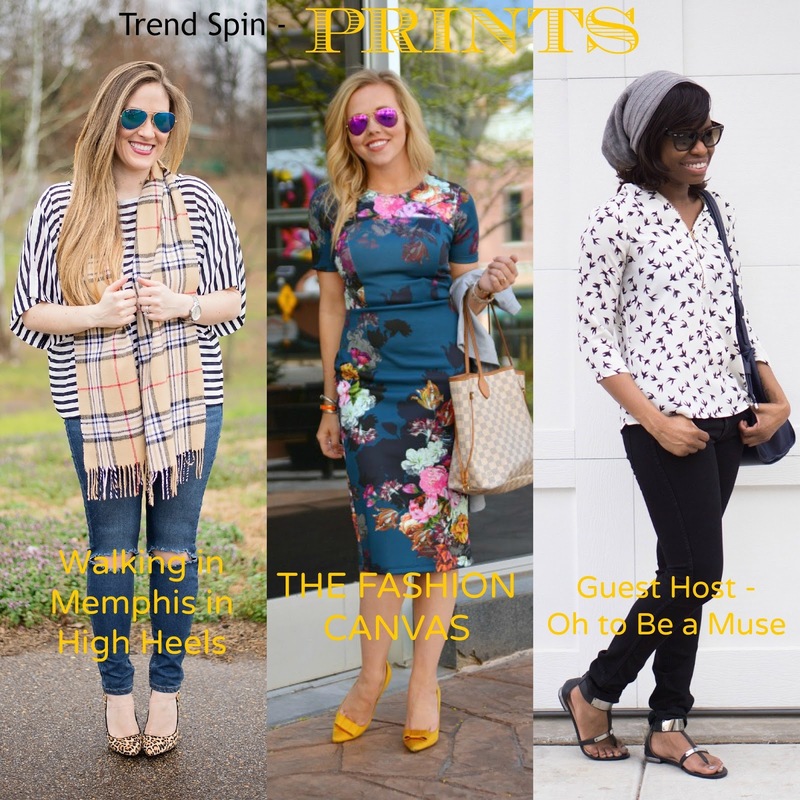 Also, I'm teaming up with Laura of Walking in Memphis in High Heels for the Trend Spin Linkup, which is prints! 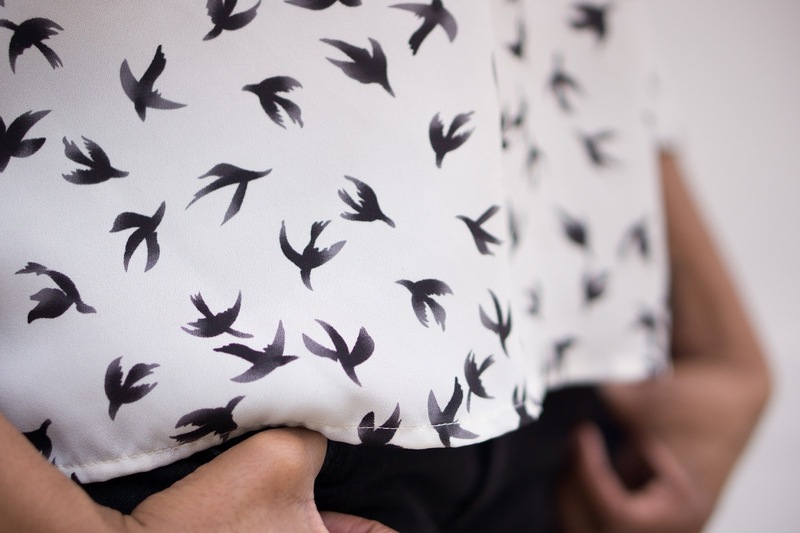 What do you think of this Cooper and Ella bird print blouse? 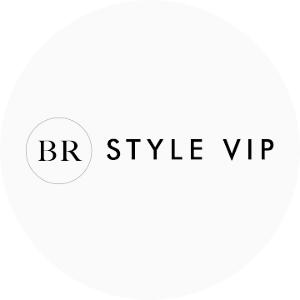 I'm loving the print blouses on Shopbop right now -- are you? 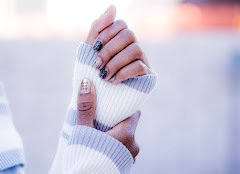 Be sure to linkup your look below -- animal print, stripes, polka dots, birds...whatever! I love the sparrow print of your shirt! 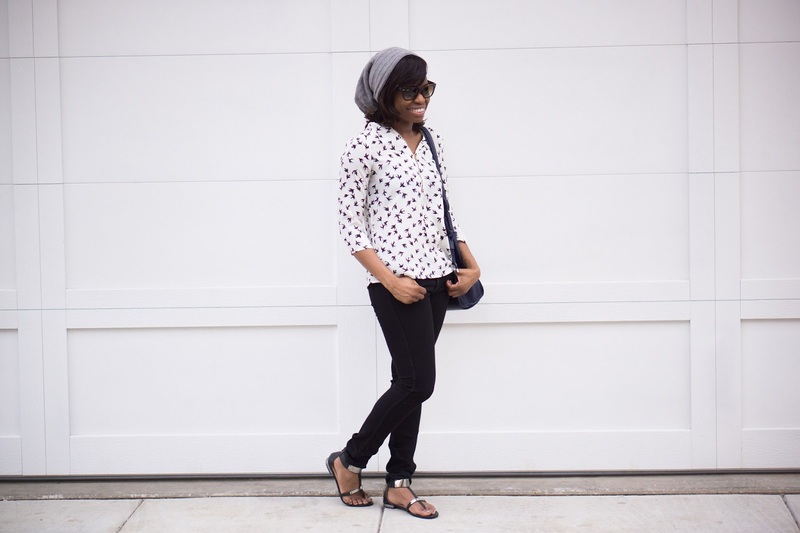 great weekend look and the print of this shirt is adorable. Love bird prints, one of my favourites! <3 hope you had a nice Easter. Awesome top, Cheryl! And congrats on being able to focus on your blog as a career.! Great outfit!! And I totally agree that sometimes, it's okay to wait for the two birds. I have done it myself! You seriously look so fantastic in hats, its almost unfair lady! Don't you look super cute. The outfit is on point - I love it! Love this look for the spring transition!! It looks comfy too - which is a must for me! That shirt is so casual-chic, I love how you tied it together with the beanie! great look! love the black and white theme and how simple it is for early spring. love the top! cooper and ella have cute stuff! 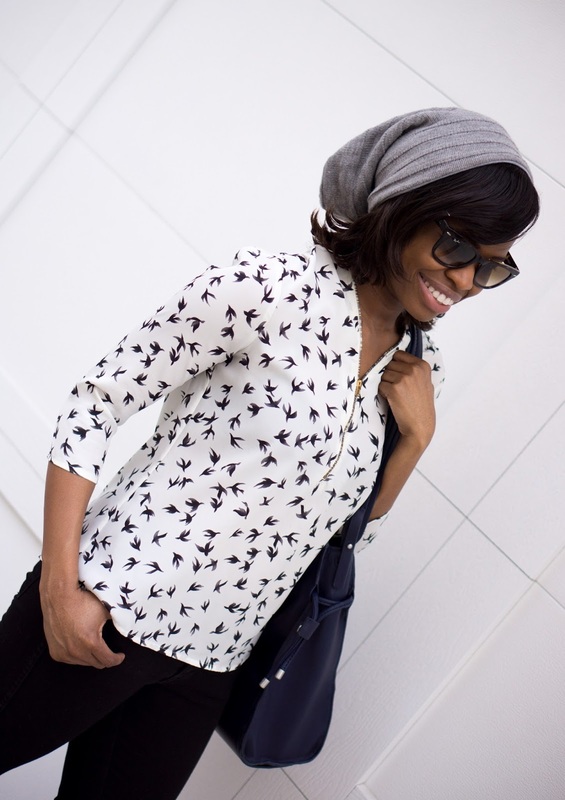 Love your printed blouse and your slouchy hat! I don't think I've ever seen you wear a beanie before. You look so super cute! The printed blouse is darling too! good for you re: the job situation! loving all the great prints here. I love the print on your top! So fun!